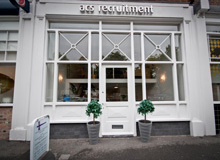 ACS are currently recruiting for a Solicitor to join the non-contentious team of our clients firm in Liverpool. This role is within the non-contentious team within Housing and Regeneration, working closely with the Head of Housing and Regeneration and supporting the Partners within the team. We anticipate that the successful candidate will have 1-5 years PQE commercial property experience. We are however happy to hear from any candidate who believe that they have the skills and ability to perform in this role.